The No. 4 Cal men’s water polo team (18-6) entered the weekend at the Mountain Pacific Sports Federation, or MPSF, Tournament at USC knowing that it had to make huge moves to salvage any chance of making the NCAA tournament. After a hot start to their MPSF campaign, the Bears stumbled against the Trojans and Cardinal in key matches over the past couple of weeks. Those losses, however, could all be made up for with a strong showing this weekend. In this year’s edition of the Big Splash, No. 4 Cal men’s water polo welcomes archrival No. 3 Stanford to the Spieker Aquatics Center on Saturday. When Hooper scored his fourth and final goal of the day, time was no longer on the Bears’ side. The conference foe had gotten the best of Cal, and in the bigger picture, any chance of a regular-season conference title became an afterthought almost instantly. The No. 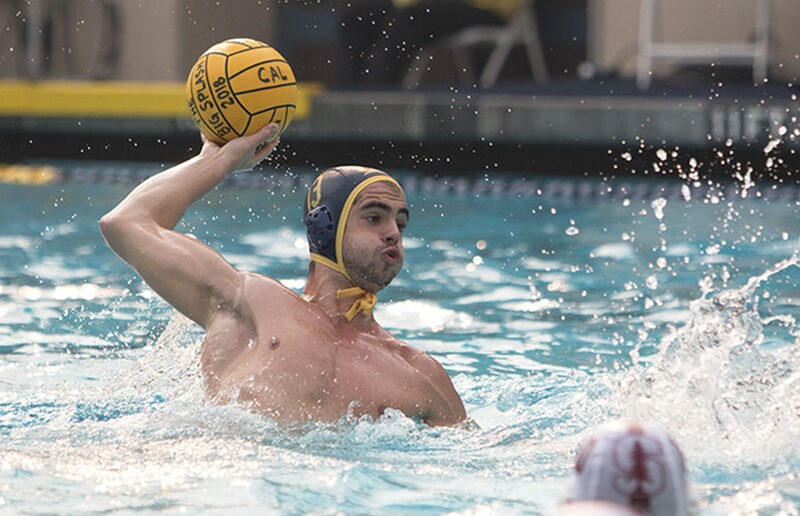 4-ranked Cal men’s water polo team pulled out the upset against No. 3 UCLA, 9-7, in front of a packed home crowd and the thousands more who tuned in on from the comfort of their own couches. With All-American senior Odysseas Masmanidis back in the lineup, the Bears gain a huge advantage that they missed last time in their quest for revenge. His presence is felt on both sides of the ball in areas that do not necessarily show up on the stat sheet. In a one-minute span midway through the fourth quarter, sophomore Nikos Delagrammatikas scored twice and gave the Bears their largest cushion of the day.